Capybara Smoketests: Not just for Ruby! 99% of the time, if I need to code something, my language of choice is Ruby. Nothing in particular drove me to start using it, but I was at a Java house which switched to being a Ruby house, so I changed accordingly. Since then I’ve been doing a lot of devops-y stuff, and a lot of devops tools are written in Ruby, so it’s kinda stuck. Plus, I’ve grown fond of how easy it is to throw together a proof of concept together without much setup, and there are hundreds of gems out there that you can build on. So, on a project I was working on recently, there was a request for some smoketests for the frontend. There was some grumbling about selenium and the like, and the headache of xpath. 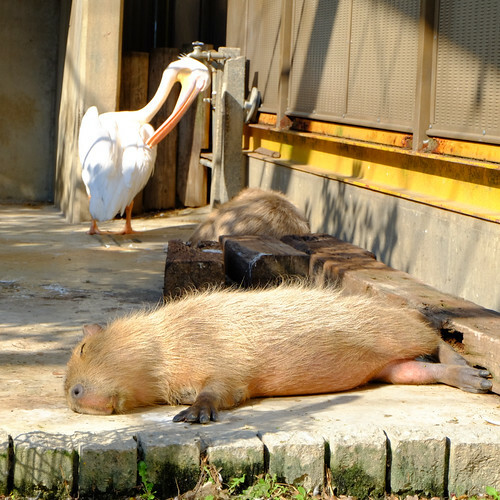 Capybara is a platform for testing web applications. It’s basically some Ruby wrappers around browser based tests, that hooks into tools like Selenium and PhantomJS. As a spike, I cooked something up for our preview environment to see what people thought. Just from looking at that you can see the flow of what it's trying to achieve: You fill in your name and address, and get a reference number at the end. The Capybara DSL is very easy to understand, even for those that aren't super familiar with Ruby. You can also see that Capybara is clever enough that you don’t have to add in wait’s for various elements. It will repeatably attempt to find an element or waiting for a page to load for a defined time (2 seconds by default), which helps cut down on issues with asynchronous requests. So this was a pretty effective proof of concept I created, and could hand over to the front-end devs to extend and change as they saw fit. They did things like refactor the platform code so it could be pointed at a local instance, so they could make changes to the smoke-tests in advance when developing on the app itself. So after that picked up some steam and the various people were happy with it, I got the tests running in Jenkins. I ended up picking the PhantomJS driver. It’s headless so removes the finicky-ness of trying to setup xvfb, and there’s a great Capybara-specific driver for it called poltergeist. Unable to find link or button "Continue"
This failure was a bit strange, as looking at the code, there clearly was a button with Continue on the page. And you have a permanent copy of the raw HTML and a screenshot of the page on failure. Turns out we were changing a deployment process at the time and the app had been stopped briefly to check something. We started it up again and the test went green. All sorted! So all-in-all, Capybara is a great tool for web-acceptance testing, even on non Rails and Ruby apps.